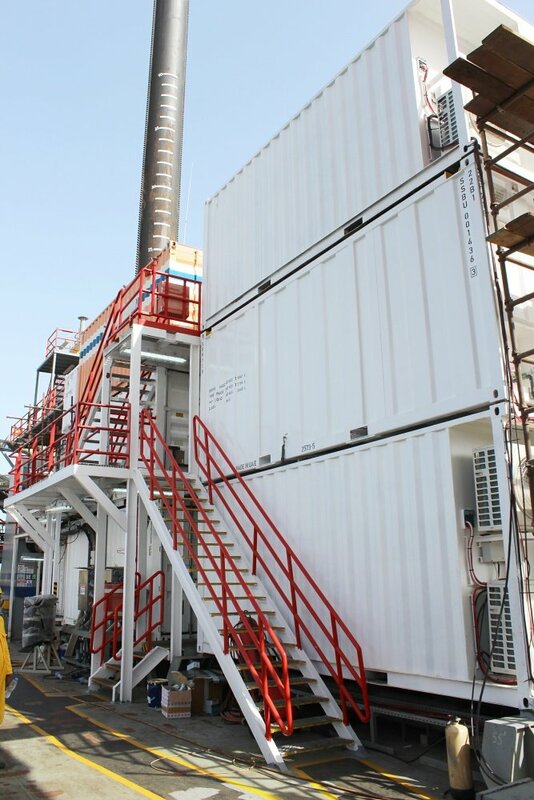 We are proud to announce that we have manufactured, installed, commissioned and handed over a 27-module, 100 man ABS / DNV certified TLQ complex in a record-breaking time of 28 days. The project has been awarded to Specialist Services based on our longstanding relationship with the Client and our capability to design, manufacture and certify this complex project with a very tight delivery to site lead time. On 6th April 2018, we have been awarded a rental contract for the supply of a 27-module TLQ complex to accommodate 100 POB for a minimum contract duration of 2 years. 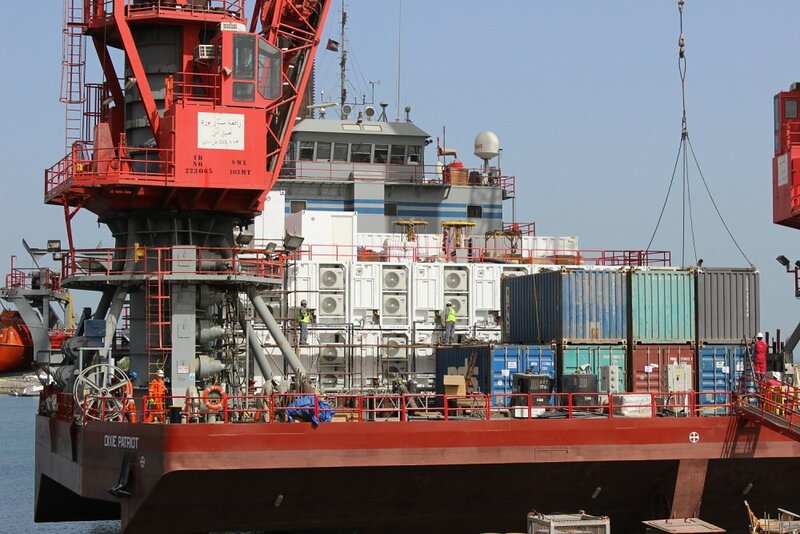 All 27 modules were required to be ABS and DNV certified for installation on a jack-up barge. All modules were also required to be new to fulfill the contractual requirement and were supplied as a mix of single man and 4 man modules. The most critical part of the project was the extremely short delivery time of 4 weeks. Based on our outstanding in-house engineering and manufacturing capabilities, Specialist Services created a crash production schedule, detailing every element of Engineering, Procurement, Construction, Installation and Commissioning activities for the fabrication of the 27 ABS / DNV certified A60 Accommodation Modules, utilising our existing Type Approved designs. Internal processes were streamlined and optimised to ensure that schedules were met, whilst also meeting the stringent requirements for ABS and DNV with regard to in-process and final inspections. The delivery of all units from Specialist Services facility in Jebel Ali to the Client’s site in Ras Al Khaimah required multiple trailers in rotation and in line with the pre-planned installation sequence. Kevin Murphy, Manager: Estimation & Engineering – Buildings, said: “On site, Specialist Services personnel demonstrated outstanding professionalism, dedication and technical know-how in coordinating with the Client, Class Surveyors and other contractors throughout the installation of the modules on board the vessel”. The TLQ Complex has been installed on the jack-up barge on 5th May 2018 and will be used to safely and comfortably accommodate 100 personnel working on a project in the Kingdom of Saudi Arabia. “Our teams in Jebel Ali yard and on site in Ras Al Khaimah worked tirelessly for four weeks to complete the project in this short lead time to an extremely high standard, demonstrating outstanding dedication and excellent work,” concluded Kevin Murphy. During this project, Specialist Services showcased its market leading technical expertise, fabrication capability and, more importantly, its high standards of professionalism and teamwork.